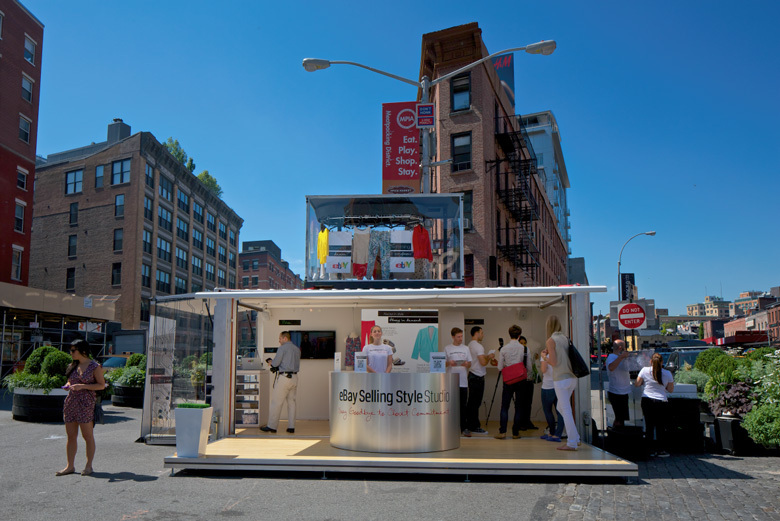 eBay Selling Style Studio | Readyset Inc.
To reinvigorate interest in selling on eBay amongst the brand’s core fashion buying community, eBay produced a five city mobile tour to educate consumers on the four simple steps of selling on eBay—shoot, script, price, and list. The pop-up studio, which we built from a shipping container, offered consumers a hands-on training experience. People were able to bring an item from their closet to list on eBay and received firsthand help from one of the on-site selling experts and a top eBay fashion seller from their local community.